Hi Friday. How’s it going. Shall we list the fun Kickstarters we enjoyed taking a look at this week? Yes, yes we shall! Awkward Guests – Who Murdered Mr. Walton? Ok here’s a weird admission: I don’t think I’ve ever actually played a real game of Clue. I had the game as a kid, but somehow never, ever quite managed to get it to the table. Its a mystery for the ages as to why I didn’t, but Megacorpin Games has created a game that is a cousin to that quintessential murder-solving game. Awkward Guests tasks you with discovering who killed Mr. Walton. Players start the game with a hand of clue cards and will need to share information with the other investigators to gain insight on the different aspects of the case such as the murder weapon, suspects, motives, and whatnot. The first person to correctly solve the mystery wins. Awkward guests stands out for its seemingly unending combinations of cards that make up the murders and considering there are many parts to each case, you’ll really need to don your investigator hat for this one. 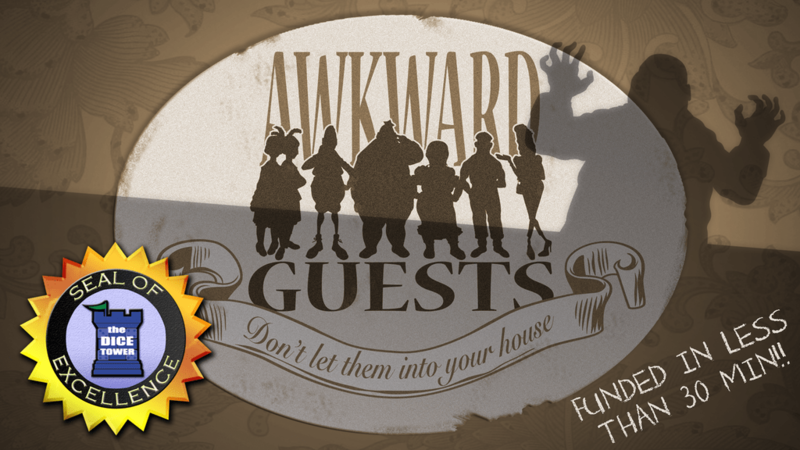 Check out Awkward Guests on Kickstarter here. 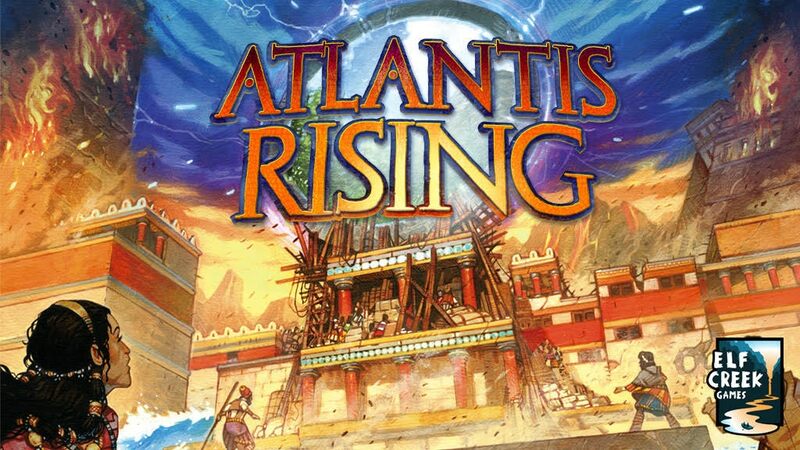 Talk about sunken treasure – the original Atlantis Rising was incredibly rare and remains a grail game for many collections. 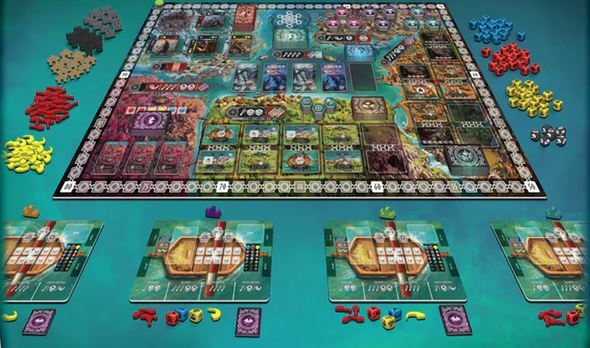 This unique cooperative worker placement game (yeah, you read that right) brilliantly uses the ever-rising sea to add pressure to each play as you and your fellow Atlantians scramble to construct the cosmic gate and escape the fate of your doomed island. The gameplay of the original was intense and engaging, and the combination of genres made it a truly unique experience. Well, the intrepid aquanauts of Elf Creek Games have hoisted this treasure up from the depths and brought it back to stunning life with Vincent Dutrait’s incredible signature art style. They have made some improvements beyond just the aesthetics (in particular looking at the lower player count modes), and we simply cannot wait to see how far this project can go! The original was really unique in its blending of two genres that don’t normally appear together, and we think this new version looks like it will be even better! 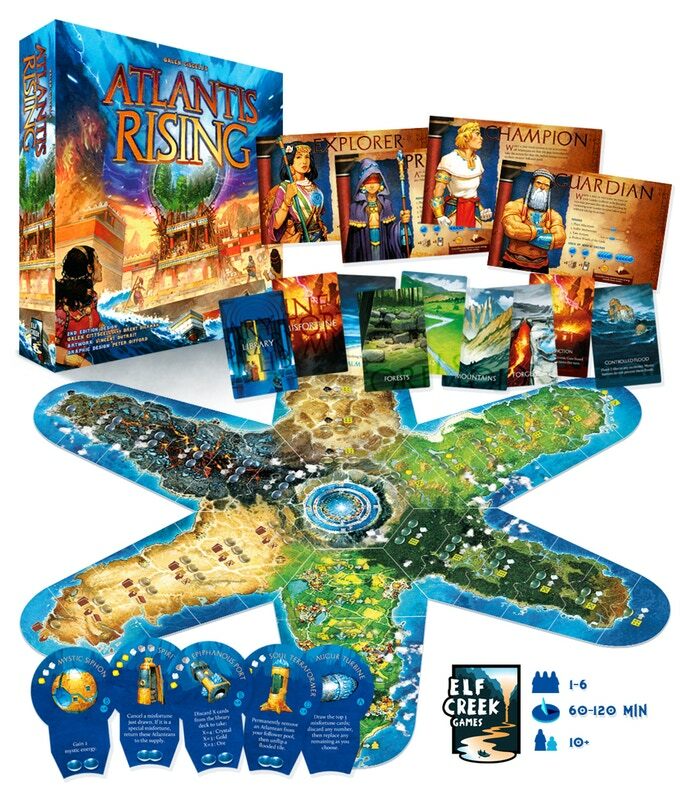 You can sail on over to the Atlantis Rising Kickstarter right now! While we don’t have kids (besides out cats), occasionally Andrew and I like to check out games designed for younger audiences because of Andrew’s cousin – she is a occupational therapist and find that games are a great way to engage the kids she works with and help them practice a variety of skills. 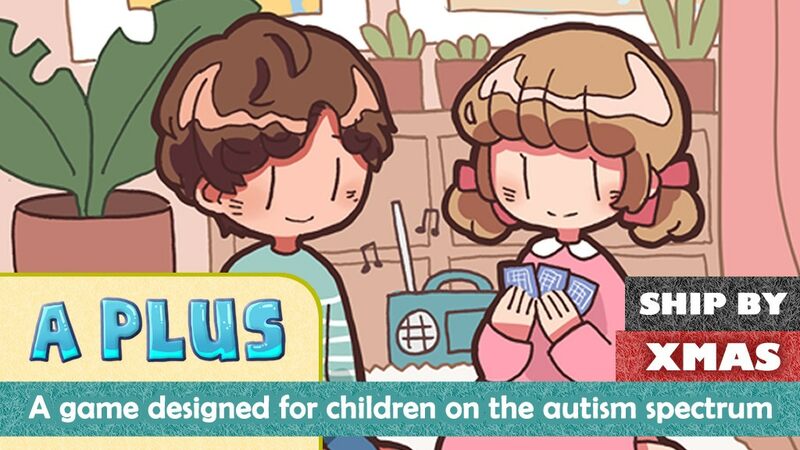 Keeping this in mind, I am happy to see Ta-Te Wu, designer of Cat Rescue, has turned his hand to creating a game for children with Autism called A Plus. A Plus is a game of charades that encourages social interaction. You start with a hand of cards, each of which has icons which represent activities. You want to try to match the activities in you hand to those in the other players and must do so by miming the action displayed on the card. So for example if you have the art card, you might pretend to paint. If the other players can guess what you are doing and have a matching card they can ask if you would like to do that activity with them. If you manage to get 5 matches by the end of the game you get an A+. 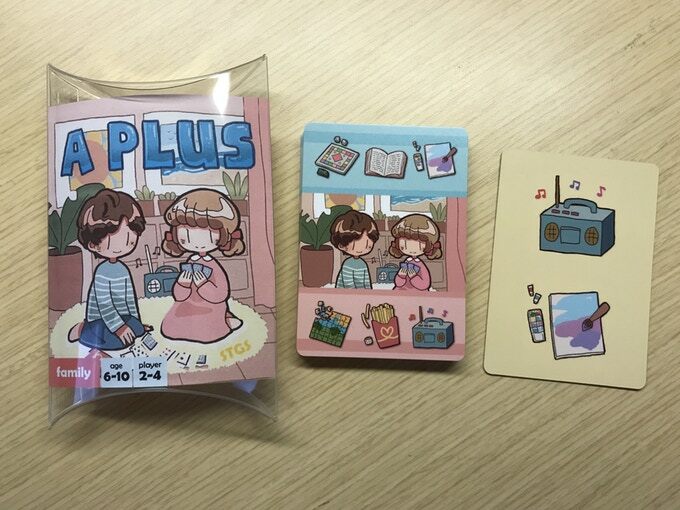 A Plus is adorably illustrated and pocket sized; making it a nice stocking-stuffer (especially since Ta-Te Wu plans to ship by Christmas). Learn more about this wonderful and thoughtful project on the A Plus Kickstarter page here. Well, nothing wrong with more vikings! Reavers of Midgard is set in the same universe as Champions of Midgard, another excellent game from Grey Fox. Reavers of Midgard is a ‘single worker placement’ game, meaning that each player only has a single worker to assign each round. With the choice made, you will gather warriors to you and quest out into the world in search of glory and riches! Phenomenally funded and rising, Reavers of Midgard promises to bring back the dice-driven combat of its predecessor, with a new twist on the worker placement mechanism, with some engine building to boot. But honestly, we’re just in for the longboats full of dice Reavers! 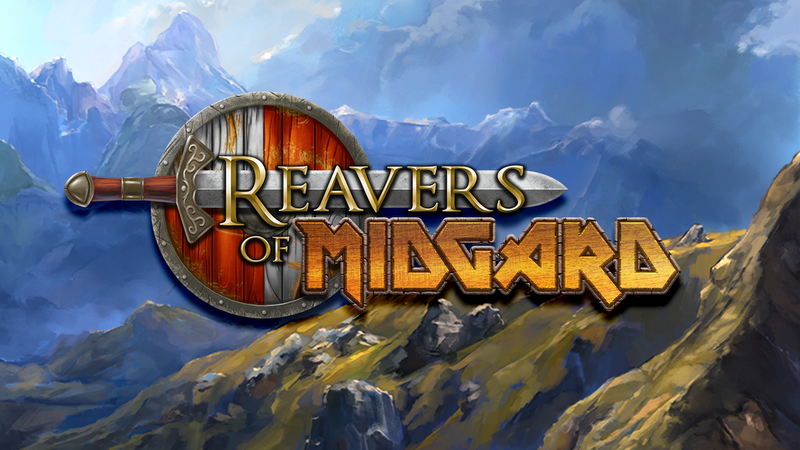 You can pillage yourself a copy of Reavers of Midgard over at the Kickstarter now! I’ve been wanting to play Catacombs since the very first time I saw it. We recently got a copy and will have our full review up next week, but in the meantime, the 3rd edition is up on Kickstarter and I just can’t wait to recommend it! This dexterity-flicking, dungeon-crawler is gloriously illustrated by the talented Kwanchai Moriya and now comes with some really nice playmats. The goal of the game is to defeat the Catacomb Lord by flicking wooden discs through dungeon rooms. One player will act as the Catacomb Lord, controlling the monsters and trying to thwart the heroes, while everyone else plays one of the 4 adventurers. Like many dungeon-crawlers, the heroes each have special abilities which make who you choose to play as a part of the strategy. I’m a sucker for flicking games as they always provide tense drama as someone lines up a particularly tricky shot and a whole bushelful of comedy gold as those shots go far astray. 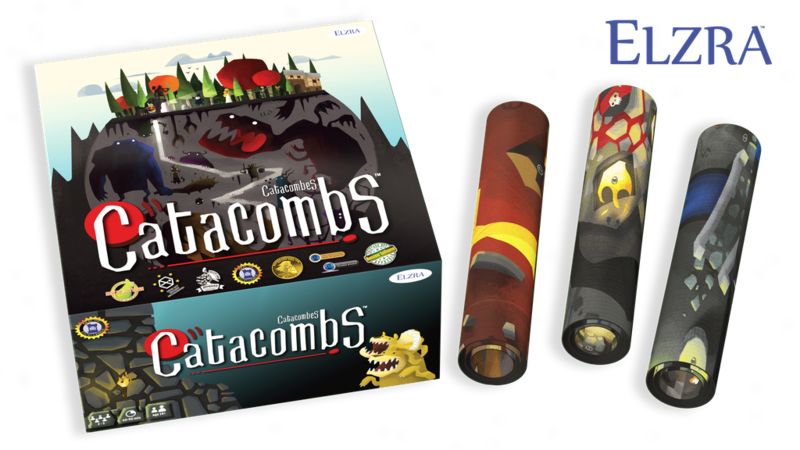 While I go grab my copy to test out, flick yourself over to the Catacombs 3E Kickstarter to learn more about this exciting game. Well that’s this week all nice and tidy. Thanks Friday! To our wonderful fans I pose this question: Which Kickstarters are you interested in? Let me know in the comments below. You made it to the end of the article! Can you tell I’m hopped up on cold medicine right now? I’m loopy loo. I wonder if anyone will edit this all out? Well, if not, enjoy my ramblings!